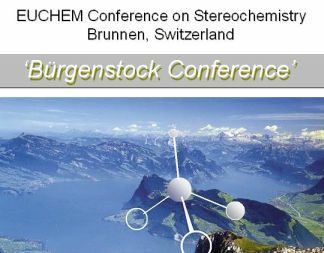 According to its long tradition, the ‘Bürgenstock Conference 2011’ will again be interdisciplinary, covering many areas of chemistry in its main body, but allowing also for relevant highlights from neighboring disciplines, with due focus on structural and mechanistic aspects in all contributions. By tradition, the program of the "Bürgenstock-Conference" is not published in advance. However, the main areas in which lectures will be given are: Organic and metal-organic chemistry: discovery and development of new reactions, metal catalyzed C–H activation, oxidative functionalization, metal catalysis and enantioselective synthesis, organocatalysis, total synthesis of complex natural products, catalytic modification of natural products. Supramolecular chemistry and physical organic chemistry: foldamers, chiral induction, encapsulation processes, microdroplets in microfluidics, molecular electronics, nanoscale objects, supramolecular chemistry of DNA, biomimetic materials and self-assembly. Chemical biology: protein epitope mimetics, anti-infective agents, vaccine design, supramolecular polymerization, protein–protein and protein–DNA interactions, miniature proteins, fluorescent proteins, structure and function of four stranded nucleic acids.